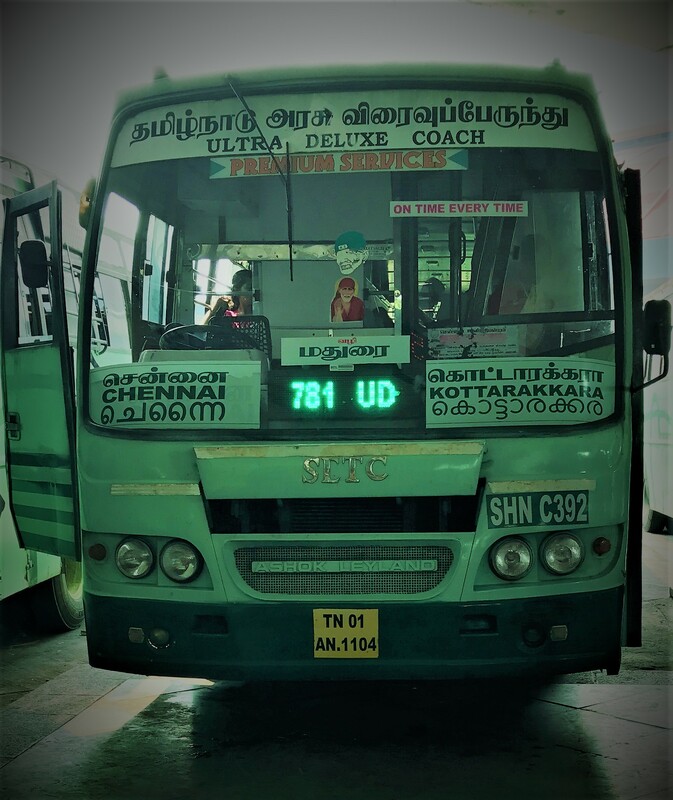 SETC operates Interstate bus service from Bangalore to Trivandrum H687 via Hosur Salem Tirunelveli Nagercoil Marthandam. The bus service is an Interstate Bus Service operated by Trivandrum Depot of SETC located in Kerala. The bus service is route numbered as H687 UD, the bus have features such as air suspension and push back seat for travel comfort. The bus have 3 boarding point at Bangalore such as Shanti Nagar Bus Stand, Madivala Police Station and Electronic City BMTC depot. The bus timing for the service is mentioned below. The passengers can book their ticket online by visiting www.tnstc.in and ticket fare per passenger for the service is Rs.670 excluding the reservation charges.